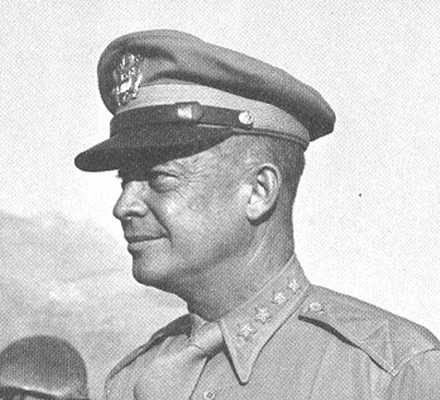 Eisenhower, Dwight D., General (Four Star). Supreme commander of the Allied Expeditionary Force. The most fateful decision of his entire career was the order "Go" on the eve before D-Day, June 6, 1944. Later, in the early morning hours of D-Day, Ike said to his secretary and driver, Kay Summersby: "Well, it is on.....no one can stop it now!". Eisenhower became the president of the United States after the war.